It’s All About Chocolate for Father’s Day Celebrations! Vancouver, B.C. (May 17th, 2018) – Pop Sunday, June 17th into your calendar for Father’s Day and surprise Dad with delectable desserts from Thierry Cafe. As a proud Father himself, Maitre Chocolatier and Patissier Chef Thierry Busset has pulled out all the stops and created a summer line-up of seasonal cakes and tarts to share with family and friends. 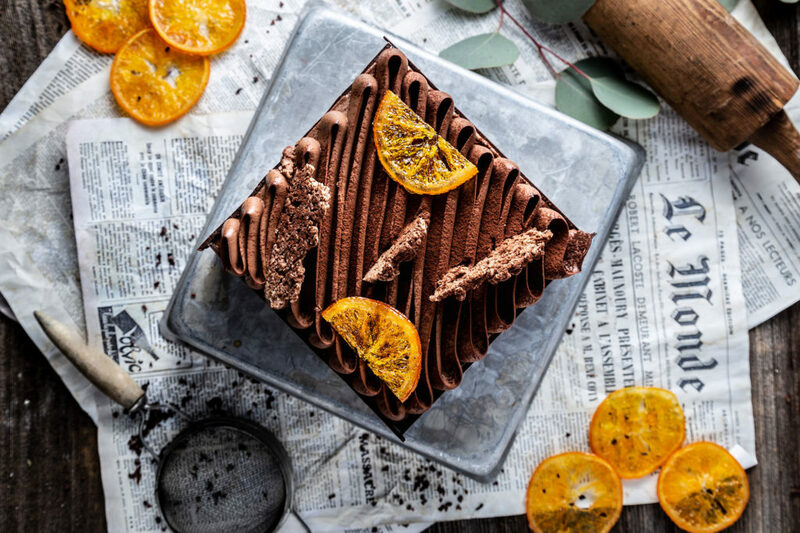 Always a favourite with Dads, his Father’s Day chocolate cake is a beautifully crafted melange of mousse, sponge and ganache layered with orange cremeux. Choose between individual and various cake sizes with prices ranging from $7.95 for individual portions to $57.95 to feed the family! Thierry’s Father’s Day cake will only be available in-store from June 15th to 17th. As always, additional options from Thierry’s line-up of signature cakes and tarts are on offer to suit any palate or preference. Advance online orders can be made through www.thierrychocolates.com/contact, emailing [email protected] or by calling Thierry Cafe directly at 604.608.6870. With the berry season soon upon us, Chef Thierry has taken inspiration from the gorgeous fruits soon to arrive at his kitchen door. 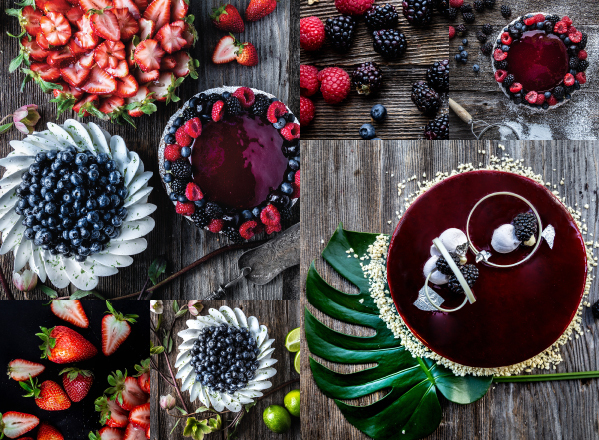 He’s crafted a blackberry and banana mousse cake and stunning fruit tarts that will be farmstand fresh works of art. Select your favourites from a luscious strawberry and honey tart to a tropical passion fruit, Morello cherry and assorted berry creation, or a sublime blueberry lime masterpiece. Cakes and tarts will be available in both individual and family sizes, starting in June as the berry season unfolds, and will range from $7.75 to $38.95. Check in often for our new offerings.